I am taking part again in North Fife Open Studios and so my studio will be open from 10am-6pm on Saturday 2nd, Sunday 3rd and Monday 4th May. 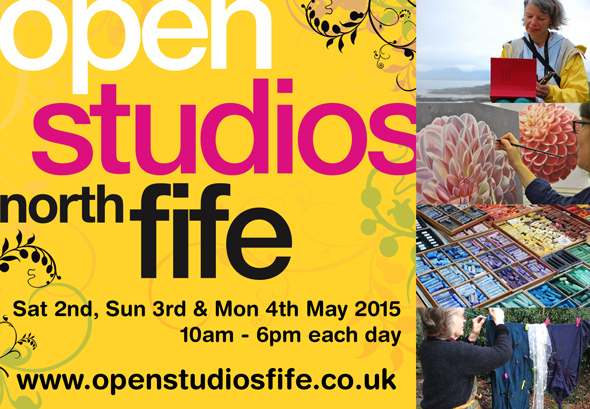 Open Studios is celebrating its 10th year running, it’s a great event with 74 artists and makers in North Fife opening their doors to the public, more info from the website . I’ll have some maps and brochures available at the studio if you need one. Blogger and artist Mirielle Sampson has done an article about Open Studios which you might enjoy. Come and see my latest floral based artworks and works in progress, from crocus to wild machair flowers to dahlias to daisy chains. I also have some limited edition prints, greetings cards and some SALE paintings. It’d be lovely to see you if you can make it.